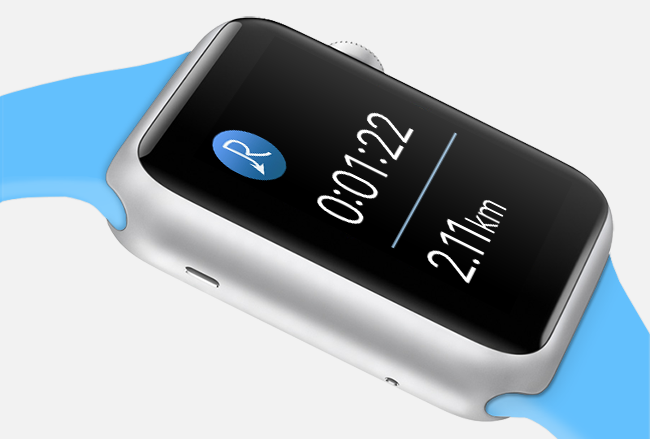 I am excited to announce that as of now, Routie 2.8 with Apple Watch app is available in the App Store! When Apple announced Apple Watch last September, I instantly knew that it is a perfect fit for Routie, and I knew that I want to have the Routie for Apple Watch app available from the very beginning. Routie for Apple Watch follows the vision of Routie for iPhone – a simple, smooth experience that lets you focus on what’s important – your workout, be it jogging, cycling, walk, or any of the activities that can be tracked. 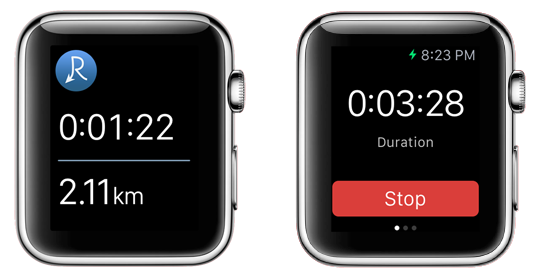 With Routie watch app, you can start/stop tracking and view current values right from your wrist. I believe these two use cases make a lot of sense, unlike some of the others like displaying weekly activity. In my opinion, anything that is not relevant in the very moment doesn’t belong on the Watch at all. I wanted to provide only the most relevant and timely information, and that’s what I did. 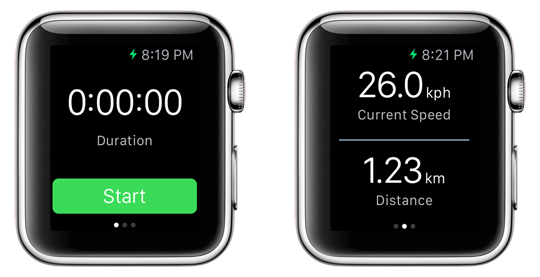 – quickly see duration and distance from the Glance view. In case you don’t have Routie yet, you can buy it from the App Store for just $4.99. What about the new Series 2 watches? It would be nice to not take my phone out on my paddle board. Any work on this capability? Ouch, I’m sorry. I somehow missed your comment. Supporting the GPS tracking on the watch itself is something I’d be intriguing to do, but I don’t know yet if it’s something that will actually get done.